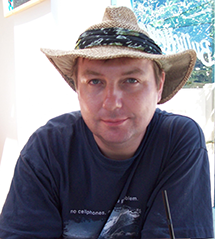 The new Halford Mackinder Professor of Human Geography will be Professor Danny Dorling from the University of Sheffield. Danny is the UK’s most prominent social geographer with an impressive track record not only of academic publications and research grant awards but also as a public intellectual with regular TV, radio and newspaper appearances and several popular books on the geographies of social inequality (see www.dannydorling.org). He will start his new post at the School of Geography and the Environment on 1 September 2013. Since 2003 Danny has been a Professor of Human Geography in the University of Sheffield. He is also Adjunct Professor in the Department of Geography, University of Canterbury, NZ; Visiting Professor, Department of Sociology, Goldsmiths, University of London, UK; and Visiting Professor in the Department of Social Medicine, University of Bristol, UK. In 2003 Danny was appointed an Academician of the Academy of the Learned Societies in the Social Sciences. Danny is interested in trying to understand and map the changing social, political and medical geographies of Britain and further afield, concentrating on social and spatial inequalities to life chances and how these may be narrowed. His research tries to show how far understanding the patterns to people’s lives can be enhanced using statistics about the population.